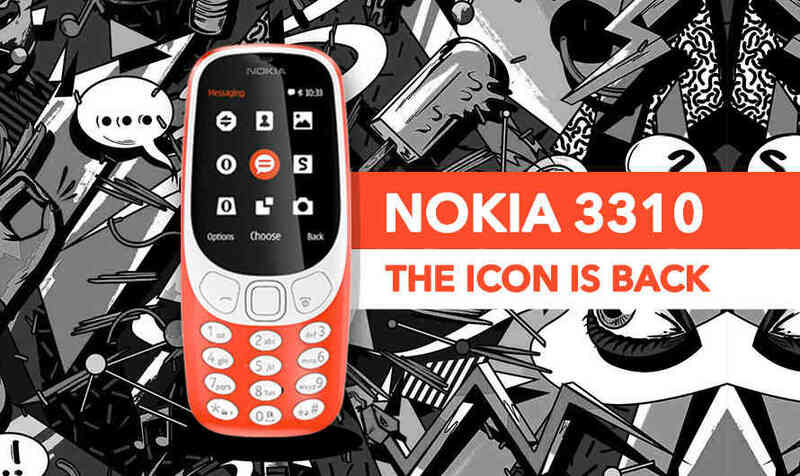 Look who’s back: Nokia 3310 is reborn for modern era! Nokia 3310 could have a had a better comeback, some might say! Back in the 2000’s when the Nokia 3310 took over the market, very few stood a chance against this victor who had the bold stance, durable body and long lasting battery life. The Sony Ericsson T100, Motorola C112, and the LG Reliance RD 2030 did put on a fight worth mentioning. Yet, the Nokia 3310 remained undefeated. Only time could bring down such a majestic phone and that happened eventually after Nokia launched a range of smartphones including the N-series, E-series and more. Ever since the curve of mobile phones and its usage has taken a bell-curve path. The Nokia 3310 did not showcase any fancy features that would entice the current generation. The ones who were introduced to mobile phones through touch screen phones would never get as to why any of us would press a button twice or thrice to get the desired letter in the message. Nor would they get ever get why we are so chill when we see the battery low warning. People who’ve used the Nokia 3310 would relate to this. Even after the low battery indication one could chill for hours before going anywhere near a charger. It’s true. 17% of Indians have smartphones and the remainder 83% either use feature phones or do not use phones at all. If the Nokia 3310 price is done right. It has the potential of tapping a consumer base that is at least thrice the magnitude of the smartphone. Given the popularity and nostalgia the Nokia 3310 carries, this seems quite possible. So, don’t be surprised when you see large groups of people with the new feature phone from Nokia. Who wouldn’t want to have this as a secondary phone? It’s smart looking, has a lot of customizable options, a headphone jack, supports expandable memory up to 32GB, new look that has imbibed the old design, Snake and there’s a lot more under the hood too. The world is excited with the HMD global’s announcement of Nokia 3310’s comeback. The nostalgia couldn’t be expressed by a painting or a thousand words. In these moments we approached individuals and asked them for the first thing that came to their mind when they think about this news. Here’s a list of their responses. Maybe you relate to one of them too. While many of them mostly spoke about the long battery life and tensile strength of the Nokia 3310, the roots were from their previous experiences. Here’s a comprehensive review of the new Nokia 3310, about its features specifications, and price. The Nokia 3310 specifications include the presence of a 2.4-inch TFT screen that produces a display output of 240×360 pixels with a pixel density of 167 pixels per inch. Though a comparison with the old Nokia 3310 isn’t valid, the current display unit is much better than the 5-lines screen resolution it used to come with. The new Nokia 3310 features entertainment through the built-in FM and music player. The 2MP rear camera with LED flash lets you click pictures on the go. Though this isn’t something that would entice the users who are used to smartphones, the features aren’t too disappointing too. A feature that’d keep the music lovers going is that the new Nokia 3310 will be featuring a 3.5mm Jack. Though no information on the type of earphones is out, the news that it’d be featuring a 3.5mm jack is enough to satiate the nostalgia that the phone brings. Anything more is just like icing on the cake. The Nokia 3310 release date is speculated to be around the end of March or early April this year. The world is gaga about the new design that the phone features. The white front has been revived to keep the resemblance with its predecessor. The new Nokia 3310 is slimmer, sleeker and a lot lighter. A 3.5mm Jack is placed in the bottom bezel while the USB charger is placed on top. The keys show resemblance to the previous variant. The flipside of the phone hosts a 2MP camera which is aided by a LED flash. The showstopper is definitely going to be the 1200mAh battery that boasts of a standby duration of up to a month and a talk time of up to 22 hours. So, if running out of charge just by talking for long hours has been a problem for you, this is the best solution 2017 has to offer. Could this be any better? 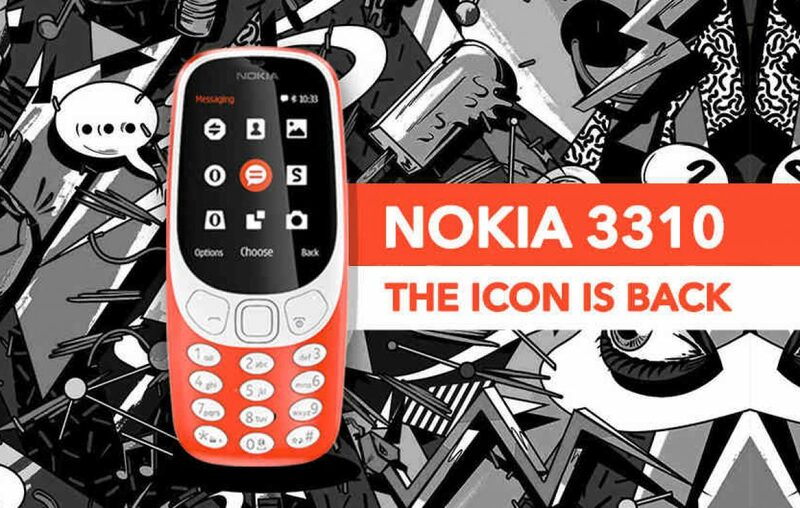 By the looks of the specs, everyone who had mentioned ‘battery life’ as the one thing that comes to their mind when they heard the news of Nokia 3310 relaunch wouldn’t be disappointed. A decade ago Snake was definitely one of the few challenging games that kept us entertained for long hours. The legendary game is back in the new Nokia 3310. Though it’s not even remotely close to the vibe the old school guy gave, yet, does a fair job. That’s right the new Nokia 3310 is internet enabled. In a world that is running with/behind 4G, the Nokia 3310 would be featuring 2.G connectivity options. This is slightly slower than regular 3G connectivity. Would this suffice? Guess that’s an answer that varies from one to another. 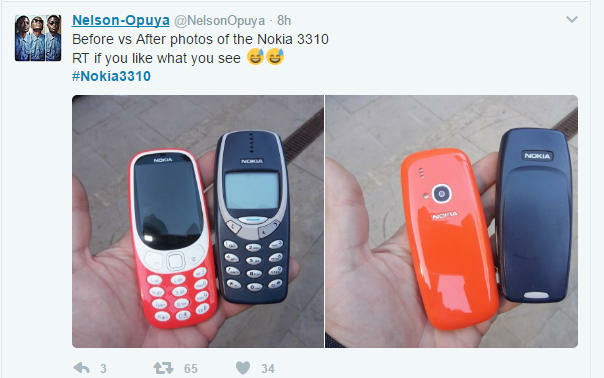 The new Nokia 3310’s price is speculated to be around INR 4000 and at this price, it is competing with some Android smartphones that feature a touch screen unit, Flash, Larger display screen, more internal and expandable storage, and a few other bells and whistles that the Nokia 3310 doesn’t have. Would it be supporting WhatsApp or any other instant messengers like that? Why did you do that to Snake? Can we expect a new variant with an Android OS? While these questions are directed to Nokia, Please feel free to comment below on what you think of the new Nokia 3310. 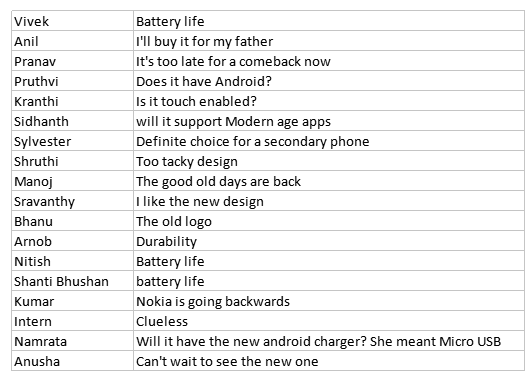 These are a few insights on the Nokia 3310 that are out. However, we are positive that there are a few more specs and features that the manufacturers have kept for the launch. Next article 4 reasons why you should buy Moto G5 Plus right now!